For those not familiar with the Fall 10x10: It’s a challenge that involves picking out 10 pieces from your closet (including shoes) and wearing only these items for 10 days. There are many variations and adaptations of this challenge you can try (I chose to use my 2 shoe slots as wildcards and whichever shoes I liked into rotation) to suit your needs. 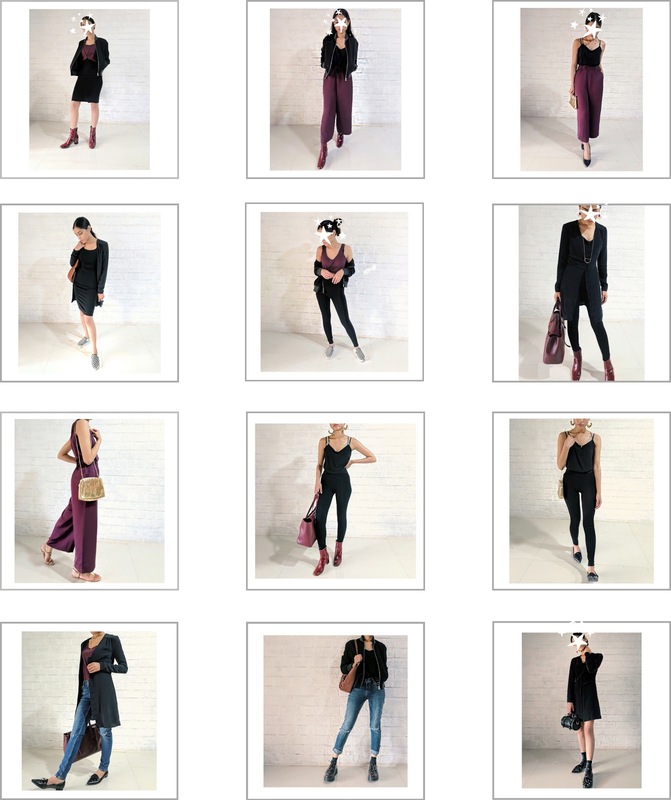 For more ideas and specific guidelines check out Style Bee’s 10x10 post. The goal is to learn what in your closet is working for you, and new ways in which to style these pieces. After taking part in this challenge, I would wholeheartedly encourage anyone interested in making the most of their closet/reinventing their style to give it a try! It not only helps you refine your style, it gives you specifics on what kinds of pieces fit in your closet and what don’t. At the end of this challenge, I feel like I have more not less, and I’m far more satisfied with what I have than I was before. Apart from the obvious, I must say, that this isn’t just a challenge, it’s a beautiful community, of beautiful people, who are inspiring, uplifting, and encouraging. The feedback, the honest, answers, and the sense that you’re part of something bigger is uplifting. If ever you decide to streamline your closet, this is a great way to give yourself a kickstart! It’s like having thousands of stylists around the world give you input on even the minutest things, and the most trivial questions! A big thanks to Lee Vosburgh of Style Bee and Caroline Joy Rector of Un-Fancy for hosting this challenge! I thoroughly enjoyed it! Well technically 8 with a bunch of shoes, but hey who’s keeping count? My measurements as of now: 32-24.5-31. I’d say I’m hourglass with relatively broad shoulders and a broad torso. I carry most of my weight in my thighs and bum. There are a few extra, because of Day to Night transitions (no real outfit changes, just changes in accessories). Investing in bras with interesting straps, with lace, and other interesting details is of value to me as it can make something basic a “pop piece”. 2. I depend heavily on Outerwear for Day to Night and Casual to Dressy transitions, so I plan on investing in more varied options. 3. My Style is firmly classic. My ripped jeans are a clear example of how my style has evolved. Such extreme distressing just isn’t my style any more and while I love the cut of the jeans, I’m going to start looking for a similar replacement. They’re multifunctional and lightweight, what’s not to like! This challenge just reaffirmed what I've suspected for a while. No longer going to try and push prints on myself. I'll leave the colour clashing and wild prints to Man Repeller, and enjoy that style vicariously. As I mentioned above, all my outerwear have really proved themselves to be star pieces in my closet, and I definitely feel a soft, classic leather jacket would be a beautiful core addition. 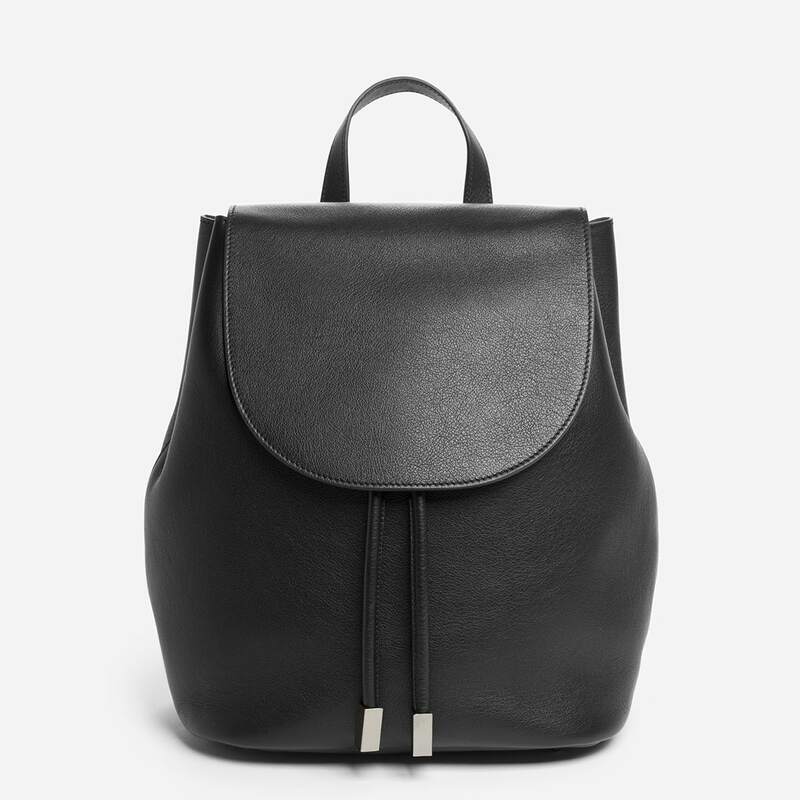 It's all my favourite things in one: black, structured, and classic. The pima modal tank is a wonderful, lightweight, casual option, but it just didn’t lend itself well to a pairing with my silk culottes the way a thicker cotton or a silk tank would have. It’s just not a piece that I can carryover from casual to dressy. 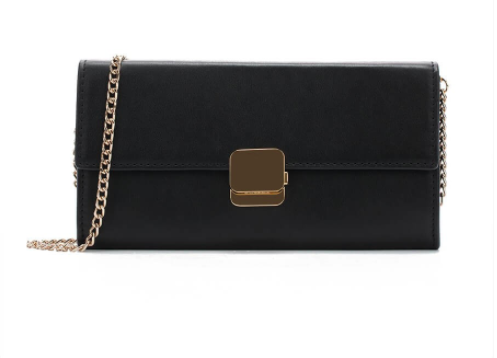 A black evening clutch: I have my eye on this one from Cuyana. 2. Large Prints: I had initially tried to add a floral printed cotton culotte from Zara, and it was such a headache to pair with other items. I see other people work prints like a boss, but I guess it’s just not me. I’m so glad to have embarked on this wonderful challenge, and to be able to share this experience with you guys. Until the next 10x10 my friends, see you soon!